But is this experience truly a NDE, or is it simply a hallucination of a seriously ill person, subsequently recalled and published in popular language? According to Robert Wade, his neurologist, Eben Alexander had a chance of surviving his severe episode of meningitis caused by E. coli was less than 3% (page 184). But 3% is not 0%, meaning that some people do survive. Moreover, some people also survive without any apparent neurological damage. This statistic simply means that Eben Alexander was a very lucky man. He survived without any evident neurological damage. Furthermore, this was man who was subsequently able to articulate and tell of his experience-something which most of his patients were unable to do. This was clearly revealed in one of the passages of this book. He told of the reactions of his physicians to his survival, and the mental experiences undergone while apparently comatose. Make no mistake, my doctors were very happy for me. "That's wonderful, Eben," they would say, echoing my response to countless patients of my own who, in the past, had tried to tell me about otherworldly experiences they'd undergone during surgery. "You were very sick. Your brain was soaking in pus. We can't believe you're even here to talk about it. You know yourself what the brain can come up with when it's that far gone." So let us look as some aspects of this experience. The first aspect is the sociocultural environment in which Eben Alexander lived and functioned. Eben Alexander's wife and sisters were all regular attenders at the local Epicopal church, and he lived in a community actively engaged in the church and the beliefs it propagates (pages 34, 57, 93, 97, 147-148). They believed in the power of prayer. And subsequently after recovery from his illness, a "reborn", and newly religious Eben Alexander also believed in the healing power of intercessional prayer (see Chapter 32). By eleven, Holley, Mom, Phyllis, and Betsy were all in my room. Michael suggested a prayer. Everyone, including the two nurses, joined hands around the bed, and Michael made one more heartfelt plea for my return to health. "Lord, bring Eben back to us. I know it's in your power." But intercessional prayer such as this has no effect whatsoever. This is no new knowledge, but has been known since the publication of the first investigation of prayer published during 1872 by the eminent scientist Francis Galton (Click here to read the original 1872 article by Francis Galton). This study was subsequently confirmed by a rigorous medical study of the efficacy of intercessional prayer in people recovering from heart surgery. Surprisingly, this landmark study published by Herbert Benson and his group revealed that those who knew they were being prayed for had a higher chance of complications! (Click here to read the 2006 study by Herbert Benson). Subsequent reviews confirm the lack of any effect of intercessional prayer (Click here to read an extensive review by Wendy Cadge-2009). So it surprises me that a man with the credentials of Eben Alexander actually believed pray was any help at all. I can only imagine he thought it good psychological therapy for his family. Then we come to the visual aspects of his experience. At one point he was in a wondrous transcendental world, flying on a butterfly wing with a beautiful young woman. He described this world. I was flying, passing over trees and fields, streams and waterfalls, and here and there, people.lhere were children, too, laughing and playing. The people sang and danced around in circles, and sometimes I'd see a dog, running and jumping among them, as full of joy as the people were. They wore simple yet beautiful clothes, and it seemed to me that the colors of these clothes had the same kind of living warmth as the trees and the flowers that bloomed and blossomed in the countryside around them. A beautiful, incredible dream world . . . This is a rather puerile description of a heavenly environment that could only arise in the mind of a person steeped in a simplistic popular Christian culture. In this transcendental world, he also experienced heightened awareness and time dilation, two common aspects of transcendental experiences. The message flooded me with a vast and crazy sensation of relief It was like being handed the rules to a game I'd been playing all my life without ever fully understanding it. Eben Alexander never tells us what amazing lessons he learned via this telepathic communication, except that the afterlife is very loving. So we are left without this undoubtedly valuable knowledge. Nonetheless, there is one aspect aspect to his experience revealing it not to be so much an NDE, but a fantastical hallucination with very little in common with an NDE. Eben Alexander's statements about his memory function during his experience is one of the most interesting, and at the same time most disturbing statement for those believers in the literal immaterial reality of his experience. In fact, his statements about his memory function reveal his experience to be hallucinations occurring during a gradual emergence from coma. His statements about his memory function are very revealing. 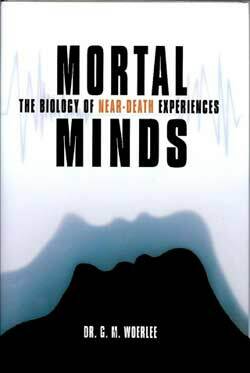 So if the soul is the repository of memory as claimed by Chris Carter, as well as Pim van Lommel, Jeffery Long, and many others, how is it possible to forget all prior memories when disembodied? After all, when disembodied the soul is freed of the limitations of the physical body, the conscious soul still has access to all memories as is revealed by all other persons reporting their NDEs. Furthermore, Eben Alexander is amazed that he was able to clearly remember all details of what he underwent during his experience. For the next six weeks or so [Woerlee - after his recovery], most days went the same. I'd wake up around 2 or 2:30 A.M., feeling so ecstatic and energized by simply being alive that I would bound out of bed. I'd light a fire in the den, sit down in my old leather chair, and write. I tried to recall every detail of my journeys in and out of the Core, and what I had felt as I learned its many life-changing lessons. "We will show you many things, but you will be going back." That message, delivered wordlessly to me at the entrance to the trackless darkness of the Core, came back to me now I also now understood where "back" was. The Realm of the Earthworm's-Eye View where I had started this odyssey. This passage clearly reveals that his apparently disembodied mind / soul was able to form new memories, and recall these memories. Accordingly, the memory function of his apparently disembodied mind / soul functioned normally. Moreover, the soul is unaffected by the functioning of the body. So why was he then unable to recall memories of his life prior to his illness? After all, these memories are supposedly also stored within his soul / separable mind / consciousness. So he should have been able to access memories of his life prior to his illness. There is only one explanation possible according to believers in the literal experiential reality of NDEs. His mind / soul was not dissociated from his body. It was captive inside a hallucinating body with sufficient memory function to form new memories of hallucinations, but unable to remember its past life! 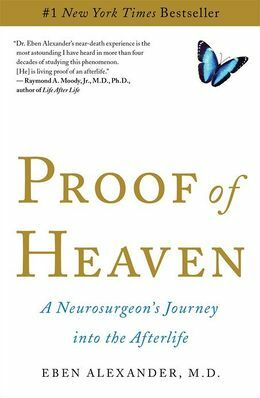 This is further emphasized by the statement of Eben Alexander that these experiences occurred during a period his brain no longer functioned, at a time his brain was "soaking in pus" (page 125). The fact that the mind of Eben Alexander was locked firmly inside his skull, means that those parts of his brain required for laying down long-term memory functioned well enough to form long-term memories of his experience. True, this also implies these parts of his brain may well have functioned sufficiently to remember his prior life. But he still had amnesia of his prior life. However, while amnesia of a past life, (called "retrograde amnesia"), is incapable of explanation by a soul unaffected by disease, such retrograde amnesia is well explained by a malfunctioning brain capable of forming new memories, but incapable of remembering the old. Situations in which this occurs are well described in a case study and neurology review (click here to read this excellent review of retrograde amnesia by Levine and his colleagues). Summarizing, Eben Alexander's retrograde amnesia cannot be explained by disembodiment and memory in his soul, because a disembodied soul has no retrograde memory loss. Instead, his memory loss of his prior life during his experience is fully explained by saying his experience was a structured hallucination. Eben Alexander claims his experiences occurred during his coma, stating in an interview on a populist website Skeptiko (Click here to read interview). In fact, I know that my experience happened within coma because of certain anchors to earth time in memory. � one of the most amazing things about Dr. Alexander's experience is that his physician is in the other room with his wife talking about whether they should terminate use of the ventilator and they go in and Dr. Alexander pops out of his coma. He starts reaching for the ventilator tube and starts pulling on the tubes and then his eyes wake up and he starts talking. And in his book you'll read a letter from his physician that not only says this but says that it's absolutely stunning and an amazing medical miracle that something like this could happen. Holley stared at Sylvia. "Eben," she said into the phone, "I have to call you back. He's ... your father is coming back ... to life." Holley walked, then ran into the ICU, with Dr. Wade right behind her. Sure enough, I was thrashing around on the bed. Not mechanically, but because I was conscious, and something was clearly bothering me. Dr. Wade immediately understood what it was: the breathing tube that was still in my throat. The tube I no longer needed, because my brain, along with the rest of my body, had just kicked back to life. He reached over, cut the securing tape, and carefully extracted it. This description of the removal of the breathing tube is one that would induce side-splitting convulsions of hysterical laughter with incontinence in any physician acquainted with the management of desperately ill patients in an intensive care unit. It is truly silly drama! Such a passage can only be a product of someone ignorant of all procedures in an intensive care unit. A neurologist caught removing an endotracheal tube [breathing tube] in such a cavalier manner from a deathly ill patient on an intensive care unit would immediately be thrown out of the hospital, and struck from the medical register for malpractice. So I imagine the intensive care physicians, together with the neurologist, determined that Eben Alexander was conscious, carefully built off the ventilator support, and removed the tube after following the usual procedures. Was his experience an NDE? The 16-point Greyson NDE-Scale is a generally accepted method of scoring whether an experience could be considered an NDE. So even though the Eben Alexander experience is one where considerable objections can be raised as to its origins, it may still be classified as an NDE with this scale. Here is the scoring system from the IANDS website (Greyson NDE scale). I have reproduced the scale below, with the attributes reported by Eben Alexander underlined in red, bold, underlined letters. 1. Did time seem to speed up or slow down? 2. Were your thoughts speeded up? 3. Did scenes from your past come back to you? 4. Did you suddenly seem to understand everything? 5. Did you have a feeling of peace or pleasantness? 6. Did you have a feeling of joy? 7. Did you feel a sense of harmony or unity with the universe? 8. Did you see, or feel surrounded by, a brilliant light? 9. Were your senses more vivid than usual? 10. Did you seem to be aware of things going on elsewhere, as if by extrasensory perception (ESP)? 11. Did scenes from the future come to you? 12. Did you feel separated from your body? 13. Did you seem to enter some other, unearthly world? 14. Did you seem to encounter a mystical being or presence, or hear an unidentifiable voice? 15. 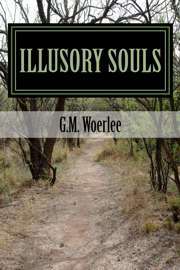 Did you see deceased or religious spirits? 16. Did you come to a border or point of no return? 2 = I came to a barrier that I was not permitted to cross; or was "sent back" against my will. The total score on the Greyson NDE Scale = 16. This qualifies the experience as a quite profound NDE - at least according to this scale. Furthermore, his NDE mainly consisted of Affective and Transcendental elements, which is something mainly occurring in people expecting to undergo a life threatening event (see analysis by Bruce Greyson 1985). Was this the result of expectations derived from his experiences prior to coma? As a neurosurgeon, he almost certainly understood the dangerous nature of his illness prior to losing consciousness. This would explain why the elements of this NDE correspond more with an expectative than a reactive NDE. Yet while his NDE was undoubtely profound according to this scale, this scale omits one important factor. It omits the fact that all persons reporting an NDE do retain, and can access memories from their prior existence. As is discussed above, this property of the apparently disembodied conscious mind of Eben Alexander is singularly lacking. This is why it becomes doubtful whether his experience is not better explained as a complex hallucination. All the above facts can be summarized in a list clearly revealing that the experience of Eben Alexander, no matter how wondrous, or how miraculous, was not truly an NDE. According to the Greyson NDE-Scale he had a profound NDE. Nonetheless there are disturbing elements arguing aginst this conclusion. He had no memories of his life before his illness. This means he was not truly disembodied, otherwise according to people believing memory is located in the soul, he would have been able to remember his life before his illness. This means his consciousness was located within his body during his experience. Accordingly, severe brain malfunction while his soul was located within his body explains why he was unable to remember anything of his life prior to his illness. There were no localizing veridical perceptions. And as he correctly states, no experiences occur when the brain is shut down. So to say his experiences occurred during the period his brain no longer functioned, is just an expression of a personal belief system. His own account of his experience even reveals otherwise. He was able to remember events during his experience, because they occurred during his return to consciousness. Return to consciousness from meningitis, is not a something that occurs instantly. It occurs with varying levels of consciousness. Even so his brain functioned sufficiently to lay down long term memories during this period, as was eloquently described in chapters 22, 23, and 24. All these facts indicate his experience was a memory of hallucinatory episodes occurring during his slow return to consciousness from a period of severe illness. All that can be said about this experience is that it is a description of a profound, structured, culturally determined hallucination, occurring during the return to consciousness from a serious illness. It is not an NDE, as is proven by a lack of any memory of his life before his illness during the period he was supposedly disembodied. Furthermore, the spiritual interpretation of this undoubtedly profound experience a permeated with uncritical and populist foolishness. All other serious commentary on this experience says the same, e.g. by Sam Harris and Ernst Rodin (an eminent USA neurologist) in response to an article by Eben Alexander. A review of his book in a serious Dutch newspaper (de NRC - click here to read review) even compared the experience of Eben Alexander to an eternal "magic mushroom trip". Eben Alexander survived a serious illness during which he apparently underwent life-changing mental experiences without any veridical moments to confirm when they occurred. Subsequently he and his co-author wrote this experience up in a very populistic manner, as he stated in the acknowledgment to this very same co-author - Ptolemy Tompkins. The final conclusion is that this experience is an account of hallucinations undergone while regaining consciousness from a severe and life-threatening illness. To regard it as anything more, is to elevate the interpretation of this experience to a paean of praise of the "unscientific method", a celebration of uncritical thinking, and a hagiography without import or meaning.